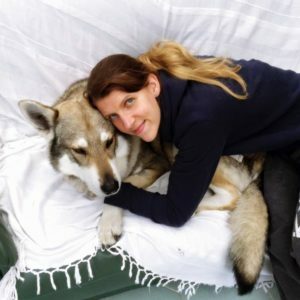 After a far too long hiatus from writing posts, I am absolutely thrilled and honoured to present the first of a two part interview with Dr Isla Fishburn, a Canine Wellness Practitioner based in the UK. 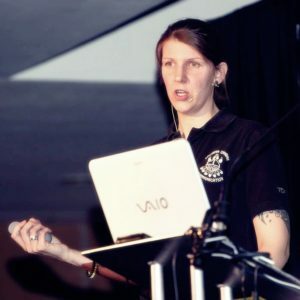 Those in the holistic canine world are very familiar with the amazing work of Isla and she has been a significant inspiration and kindred spirit who has had a great influence on my own personal and professional passion and philosophies of canine wellness. Isla’s balanced approach to canine wellness integrates the worlds of science and complementary practices; I greatly appreciate her making time to share her wisdom and valuable experiences with Doggiedom followers to help us gain further insights to how we can nurture great health and harmony in our dogs, ourselves and this amazing blue dot in the vast universe we all inhabit. So tell us in a nutshell “the Isla Fishburn story”? Ha! I can see this now… “coming soon to a cinema near you, the Isla Fishburn story!” Imagine! Well, the formal credentials to my life are that I have a degree in Zoology and a Masters and PhD in Conservation Biology. I am an energy medicine practitioner, a practicing shaman and member of a few canine organisations in the UK. I also consult with a raw food company and work alongside holistic vets and naturopaths. I am currently studying canine shiatsu and homeopathy. I am also learning about creative visualisation to bring this to dog owners and professionals. BUT…the informal me wants to tell you so much more than the above and about my passion and drive – my story. I LOVE everything to do with ecosystem health and creating complete wellness for our animals, our Earth and ourselves – for all of life. I want to have a voice for those who can’t be heard – our plants, animals, indigenous tribes. That is my focus and I really thought achieving this would only happen by being in academia. My time with the wolves allowed me to research deeper in to everything to do with conservation, canine wellness and wellness for the collective. So, when I finished my PhD and was applying for various postdocs I felt a bit deflated when I was always told “we offered the position to someone that had more experience.” I mean, how much more could I do and how could I get experience when I worked so hard at my goal of staying in academia? I REALLY hit depression and was convinced that I wasn’t good enough. I kind of hit rock bottom, and that wouldn’t be the only time in my life that I would do so. Then, an opportunity arose for me to work with captive wolves and I thought, “well, this is a great opportunity to get some practical experience in an area of conservation.” Besides, ever since I could talk I always asked for a wolf, bear…and fireman’s ladder, but that’s a story for another time! My time with the wolves allowed me to research deeper in to everything to do with conservation, canine wellness and wellness for the collective. 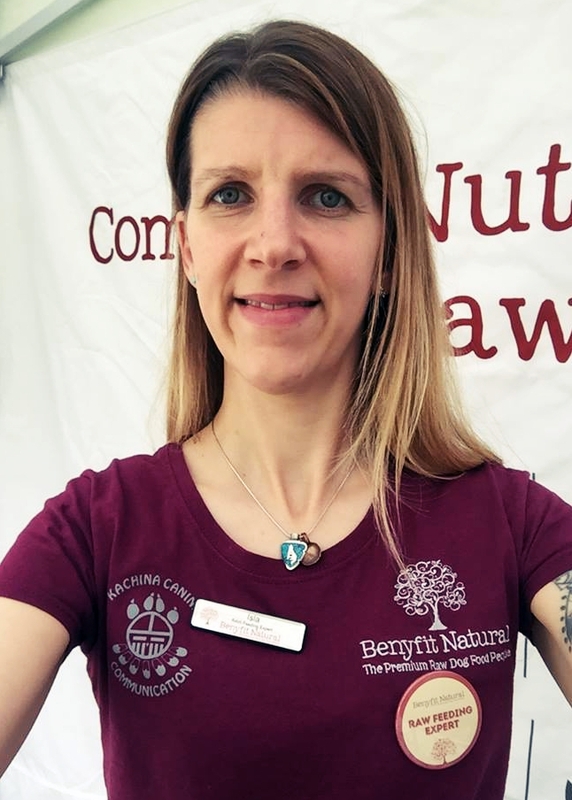 Diet, behaviour, energy, ceremony, symbolism, health…you name it and I was researching it in order to do my very best for the care of those animals and what they taught me – I still am! It concerns me the lack of connection most humans have to nature and the wolves were just one way of offering this as a way in for people to learn – to learn about the ancestral beings that we all are. In order for all of us to survive – to survive and be truly healthy – we MUST all play our part in conserving earth too. It was all of this that drove me to create Kachina Canine and focus on canine and human wellness as a way to create wellness for the collective. 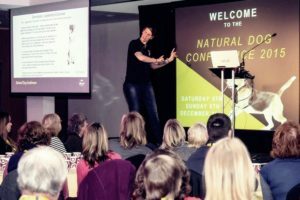 What does a canine wellness practitioner do and what is different about your approach to canine behaviour? It always makes me laugh when people ask what I do and I tell them, “Oh, I am a canine wellness practitioner!” They give you a quizzical look and say “Ahhhhh…,” followed by a long pause. It’s at this point where I help them out and say, “you don’t know what that means, do you?” Then I tell them. My mission is to promote, educate and create complete wellness for dogs, humans and all of life. Wellness is not new. To me, wellness is a part of life and explores how we can maintain health across all aspects of our life. It is a huge subject in human research and examines ways in which we can achieve the health span of an individual equating to that of their life span. It is about having the acceptance that, as animals, we all have an expiration date but that before our time is up on the Earth our life should not and does not need to be plagued with ill health and disease. For me, its origins are based in shamanism, a subject I study, and one that focuses on a true health care system rather than a disease care system, which most modern day systems focus on. My mission is to promote, educate and create complete wellness for dogs, humans and all of life. By definition wellness explores physical, physiological, psychological, spiritual health and being connected with nature. It’s not just looking at behaviour and learning about how to teach a dog what to do or what not to do. It’s about looking at our dogs as an ecosystem and what this entails to allow for complete health for that dog as an individual as best as we can. This is why I created the canine wellness wheel so people can see just exactly what we need to consider to provide the best care that we can for our dogs. In fact, it’s more of a wellness wheel that can be used for any animal. Although, I have also created a human wellness wheel as there are a few alternative needs when it comes to humans. If we really do care about our dogs and want the best for them we had better start wanting the best for our Earth and doing what is best for her. That is why when it comes to wellness I want to create wellness for the collective. I say that a happy and healthy dog starts with a happy and healthy earth. If we really do care about our dogs and want the best for them we had better start wanting the best for our Earth and doing what is best for her. There is no point striving for a healthy dog and putting all of that effort in to correct nutrition, correct exercise, teaching, healing etc if we don’t put the same effort in to creating a healthy earth. As a zoologist and conservation biologist I think it is important to consider wellness for dogs. They are, after all, a whole biological animal and have individual needs, expectations, differences and systems. Wellness certainly allows you to explore the dog as an individual and what that dog needs at that moment in time to protect, maintain and stabilise its ecosystem. Tell me about your involvement in promoting raw dog food and why you think it’s so important? 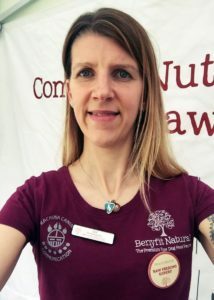 I have great friends who have their own raw food company and I am also brand ambassador for one of them here in the UK. I am a huge believer and promoter of clean eating, of feeding a body wholesome, unprocessed and fresh food. The importance of feeding our dogs a fresh food diet is still controversial in the UK, but it is getting better. 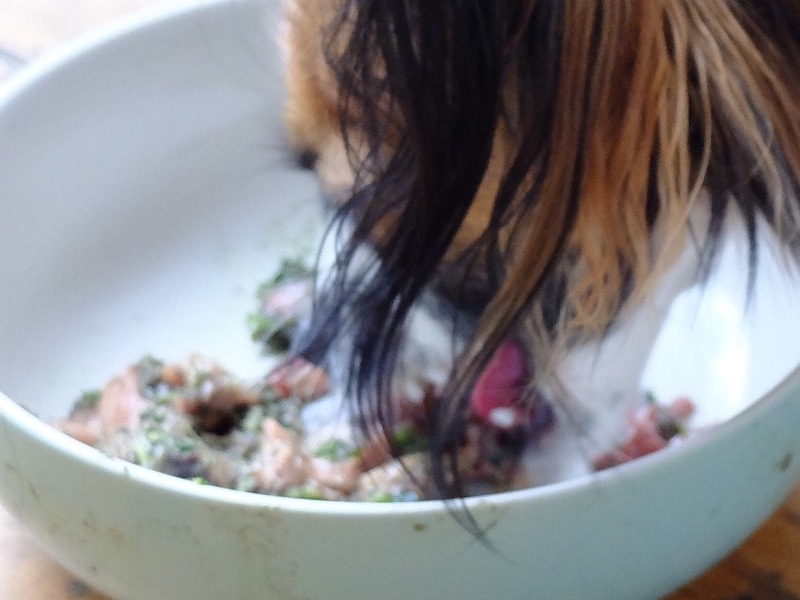 I think the number of people in the UK who feed their dogs unprocessed food has risen to 6% – crazy, right! I want this to reach 100% in my lifetime!! Challenge accepted!! I am a huge believer and promoter of clean eating, of feeding a body wholesome, unprocessed and fresh food. There is so much evidence, studies and professionals talking about how diet and what we eat can hugely influence our health, functioning, repair, mood – our entire processing in fact. I really don’t know why this concept is so hard for many people to transfer over to our dogs? They are no different. In fact, no animal is. Sure, our metabolism and physiology works in a slightly different way. There are things that we can eat that a dog can’t and vice versa. But, if we look at this at a deeper level, at a cellular level then we can start to realise why feeding any animal a diet that is fresh, wholesome and unprocessed makes sense. The way I see it is that living bodies need living food. I don’t mean we and our dogs need to be running across fields and rivers, jumping on living animals and chomping on a rabbit whilst its back leg is still kicking! I mean that a living body – a body that is composed of millions of cells – all operating, all creating chemical reactions, all living and communicating at a chemical level, can only do so optimally when the body itself is fed a diet that supports these cells to function correctly and do their job efficiently. Of course, if the body is healthy any individual can “get away” with some junk food but we are putting the body under unnecessary stress when we begin to learn and know why processed food is unable to support the body at a cellular level as well as fresh food can. Words like “the second genome” and “the second brain” are being used more and more to describe the digestive system and if we want it to perform at its most optimum for the health of the animal, it only makes sense to feed it well. The likes of Dr Natasha Campbell, Dr Andrew Weil, Dr Michael Mosley and many more present clear reasons and evidence as to how diet can affect everything from behavioural issues to physical ones. Words like “the second genome” and “the second brain” are being used more and more to describe the digestive system and if we want it to perform at its most optimum for the health of the animal, it only makes sense to feed it well. What difference have you seen a raw whole food species appropriate diet have on some of the dogs you have worked with? Wow!! This is a tough question because there has been so many. I mean, don’t get me wrong, not all answers lie in what we feed our dogs but if we are not considering diet as part of our dog’s wellness then that is one thing I urge anyone to change, explore and research. I’ve worked with dogs that, as part of a combined programme, we have changed diet and seen dramatic and positive results. Equally, I have had cases where the only thing we have changed was diet and that alone made a huge difference. I remember one case where a lady contacted me because her dog’s digestive system was so sensitive that no matter what the dog ate and no matter how small, the dog threw up. It had become so serious that the dog was on a specialist diet where the food was so processed and altered that the food of this diet would not even be recognised as food by the body! Short term we sometimes have no choice and have to give something to the dog just to keep the animal alive. So, they came to me and when I told them that the food their dog was being fed would not make the dog sick because it had been altered in such a way that the dog’s body wouldn’t register it as food, the owner said “that is what we were told.” You know, it might have been the case that this food was the only thing the dog could eat for the rest of its life but we worked very respectfully with the dog and I gave the owner some options. The first option we tried was by starting to offer the dog a small amount of raw food completes that I recommend. We put the dog on 4-5 small meals a day (the dog was a small breed) and we would observe. If the dog started to show any sign of sickness or diarrhoea, then we would stop immediately. This was going to be quite easy to know because as soon as the dog had even the smallest piece of food she was sick. Well, one day turned in to two; two days in to one week; one week in to one month. Now, we’re up to eight months I think and the dog is thriving on raw food, having just two normal meals a day! The dog is very different too – full of energy, playful and looks in amazing condition too! This does not mean to say that diet alone can prevent conflict between two or more dogs but it certainly can be one contributing factor and something that I have used rather successfully on several occasions. Another case I remember was being called to a house where there were multi dogs. There were a few issues of conflict between some of the dogs in the home and I was able to observe this and suggest how diet could reduce or possibly prevent these conflicts from occurring. We put a diet plan together and …voila! – the dogs live in harmony and co-existence. This does not mean to say that diet alone can prevent conflict between two or more dogs but it certainly can be one contributing factor and something that I have used rather successfully on several occasions. In fact, it is something we do with our dogs and is a reason why we feed some of our dogs different raw food than others. This is something I spend a bit of time talking about on my complete canine wellness talks and series as it is something that is not commonly discussed but can really make a difference within group dynamics. It’s about getting people to see and feel how their dogs are communicating. It never ceases to amaze me. Of course, there are times when I might suggest that a dog should not be fed a raw food diet, but a diet that is still considered fresh, only lightly cooked. Some dogs simply can’t tolerate raw food. If, however, that food is cooked for a few moments and is still, therefore, “live” just that the cell structure has been de-natured only a little, then the dog does perfectly fine on this food. I am just a bog advocate for people to be moving away from processed food altogether so I don’t mind if a dog is fed a raw food diet or a lightly cooked diet. Having said that, we are all trying to do our best with the knowledge we have so I am not derogatory about someone feeding their dog a processed food – either they are not aware of its disadvantages or they are not ready to be open to learn why processed foods are not my preferred choice of diet for anyone, let alone our dogs. Sure, if your dog is generally healthy, then s/he can get away with having some processed, just like you and I. I just can’t unlearn what I know about how the body works and how what we put in to and on the body can affect its very functioning. I don’t want what I feed my dog to be the cause of any imbalances that might appear. 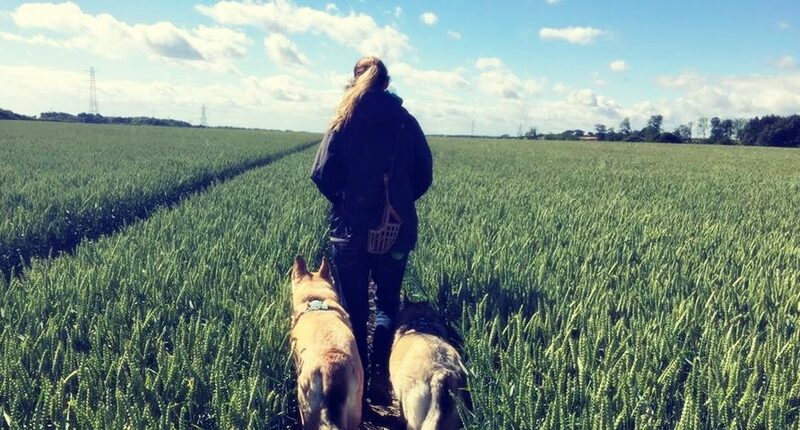 Our dogs are foragers, hunters, seekers – they like to search for food and choose what they would like to consume! So, why would I sometimes suggest a lightly cooked diet? Often this will be if a dog is unwell. In fact, you often find that when a dog that is fed raw becomes unwell, they go off their food. My dog, Tunkasila, did just this. It’s not necessarily because of the dog being unwell, having a compromised immune system and bad bacteria taking hold but more about the energy expenditure required to digest raw food compared to food that is lightly cooked and already “broken down” a little. If an animal is unwell it makes sense for energy reserves to be used in supporting the immune system, staying strong and getting well. It takes more energy to break down raw food than it does lightly cooked food, so in these circumstances I would suggest a lightly cooked diet. I am also a HUGE fan of self foargaing – not just outdoors but in what we offer our dogs too! Our dogs are foragers, hunters, seekers – they like to search for food and choose what they would like to consume! 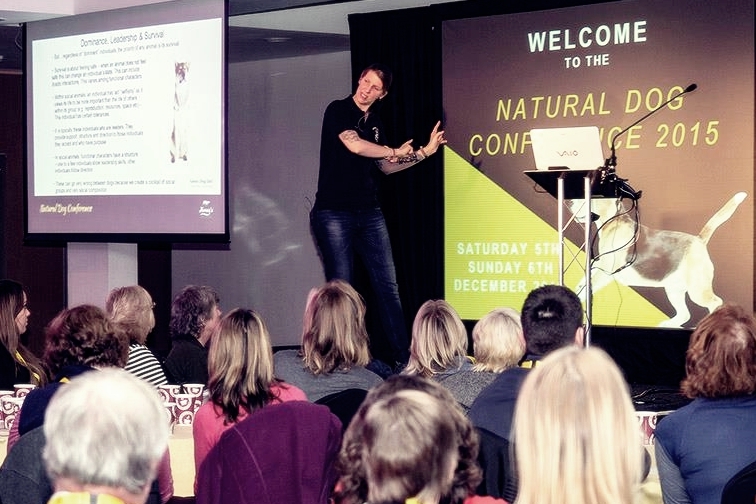 I LOVE speaking about this because most people don’t believe you – until you show them!